Announced at last year’s Image Expo in July, this one has been a long time coming. But this new creator-owned project from the iron-hot writer Rick Remender, with artist Wesley Craig and colorist Lee Loughridge, will finally hit comic shops and digital outlets on January 22, 2014 from Image Comics. 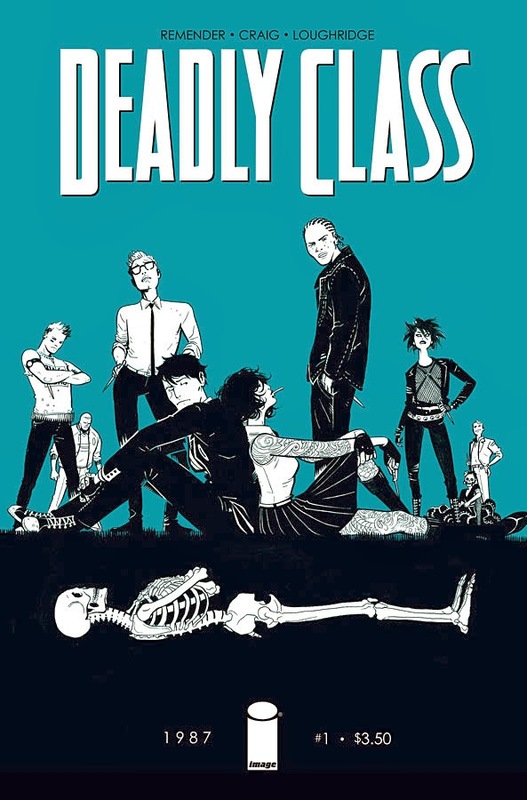 Deadly Class follows in the wake of the quick sell-out of Black Science #1, Remender’s other new series at Image that debuted in November, which prompted additional printings of that much coveted first printing of issue one (which I’ve personally seen in a comic shop $6 sticker on the polybag). From the buzz of that and its own buzz-worthiness, I expect Deadly Class #1 to perform in similar fashion. Hopefully you got your pre-order in with your LCS. Previous Previous post: Comic Book Fetish — OFFICIAL LAUNCH!! !